I have to say it was a nice and surprising chance this week to look at Natori’s past. 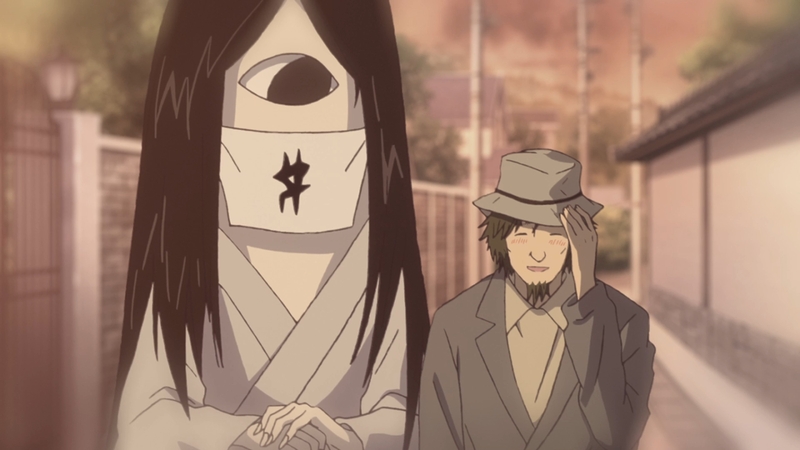 In part it was also focusing on Matoba Seiji and the connection between them. Unlike the Nyanko-Sensei episode, this was still a good episode even without Natsume being in it. A kind of random thing to suddenly dive into Natori’s past without any lead in, but it worked well enough. 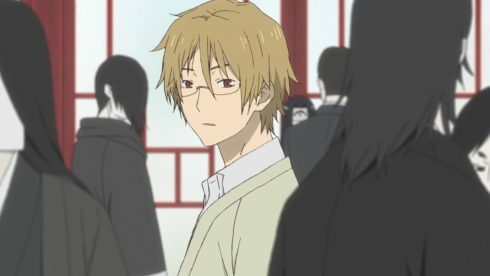 Natori is a character I like and it is nice to see where he’s come from. 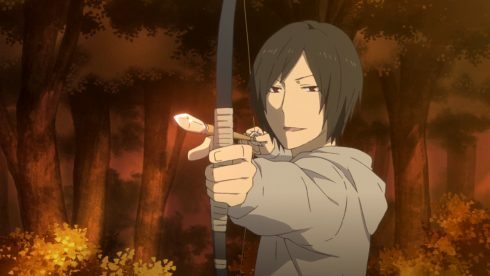 In some ways it helps make clear why he is such a reliable ally for Natsume and also why Natsume trusts him more than he trusts Seiji. 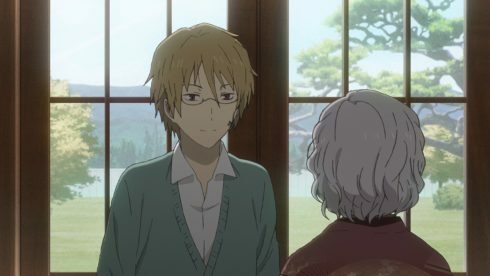 In a lot of ways Natsume and Natori have come from the same kind of place. Both of them grew up being the only ones that could see youkai and experienced troubles due to that. Of course there is a difference there. Natori’s family believes in youkai and reacted in fear because of that, while no one accepted Natsume due to failing to believe in youkai. Still, the core is that neither of them had particularly good relationships with their relatives and felt isolated while seeing things no one else could. Natori’s situation is just interesting based on the differences. His family ran away from youkai and probably even now lives in fear of reprisals. 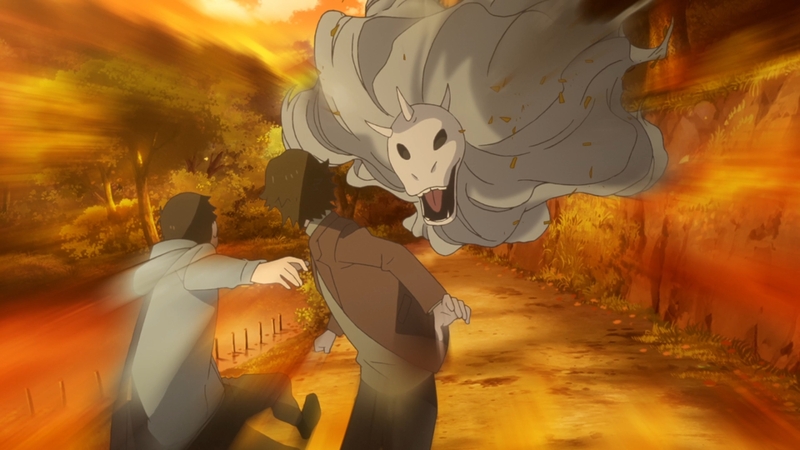 The scariest thing is that something could happen and they wouldn’t know if it was natural or youkai related. 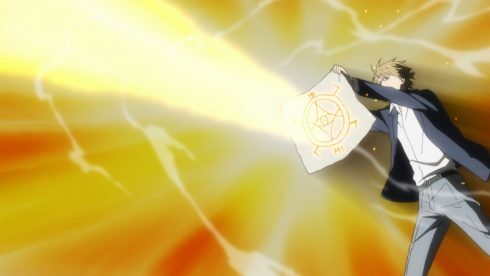 The worst thing is the idea that they put blame on Natori for simply being born with that ability. Instead of helping their son they basically shunned him. Natori can see youkai and that isn’t changing. So maybe if they were so afraid then they should have dug through materials with him and helped prepare their son. If nothing else be selfish and use your son to protect yourself! Instead they left this kid lost and struggling to figure things out. He really was like Natsume in the sense that he felt utterly alone. He didn’t even really know there was this organization of exorcists out there. The difference really is how things moved forward for the both of them. Natori met exorcists (some of which were good people) and could get into that business. Having that moving tattoo probably motivated him to consider youkai as harmful or at least not friends. While Natsume’s first big encounter was with Nyanko-Sensei. A youkai who he could trust, became his friend, and helped him on a path to face the world around him. And you can add into the equation that it took some time for Natsume to meet exorcists that didn’t seem creepy or frankly evil. 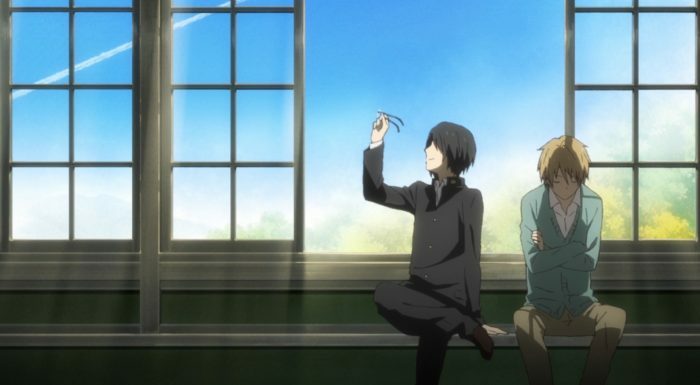 It was just interesting seeing how far back things go with Seiji and Natori. 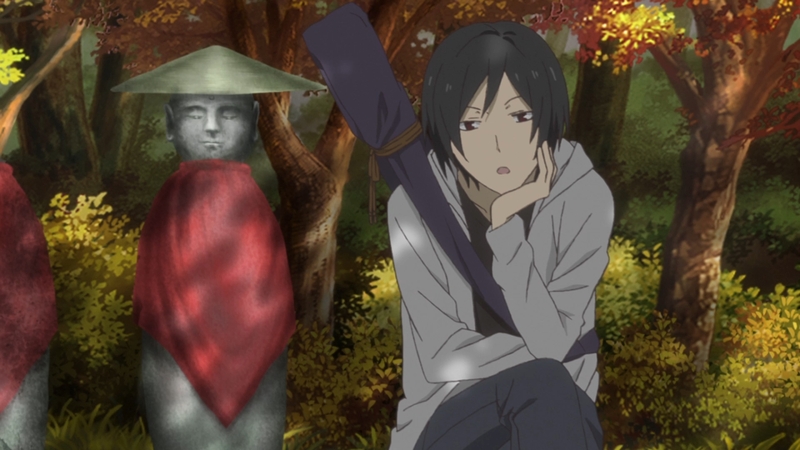 Now I’m all the more curious about what he thought of the letter Matoba gave to Natsume. I wonder if he’s really frustrated at the idea that Seiji is seeking a tool. Or perhaps he sees it as Seiji seeking the kind of ally he never really got in Natori. I found it interesting to consider that Seiji really just wanted a friend strong enough to rely on. In the end Natori felt the need to go down a different road. 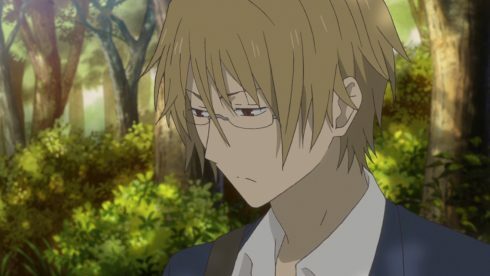 Natori couldn’t find what he needed with Seiji and had to travel on his own. It’s somewhat interesting that both these guys have found themselves drawn to Natsume. I think the greatest flaw for Seiji is that he can’t shut up. It might also be an issue with his mentality that he thinks the things he does and then blurts out those thoughts. 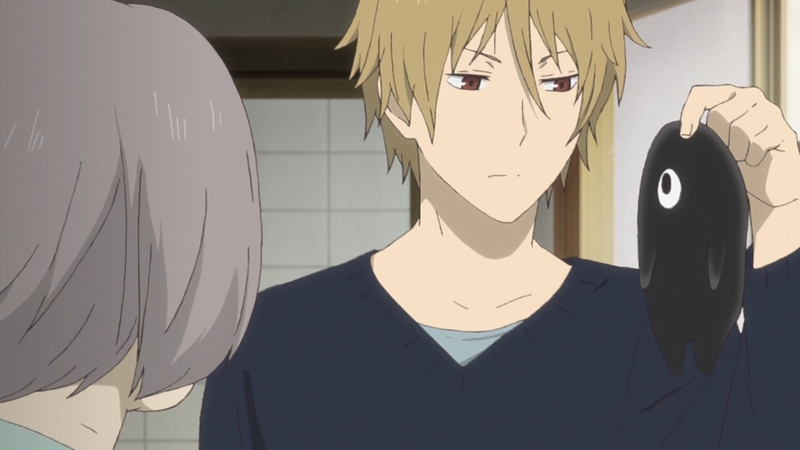 It is no wonder that Natori got frustrated with him. Not that it was all an issue with Seiji. 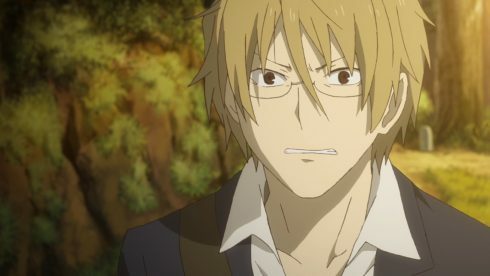 Natori was dealing with exploring a world he was unfamiliar with and trying to grow without any support from his home. It had to be incredibly tough for Natori trying to navigate his life like that. The stress leaving him upset that he couldn’t be kind to others. In the end I really did enjoy this episode. 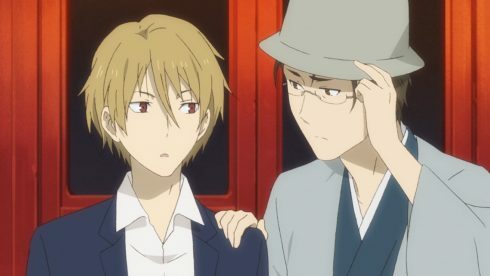 Natori’s past was interesting to delve into and it is a bit too bad that he and Seiji never really had a strong friendship. I actually feel like it is a shame when seeing that last scene of the episode. Though you never know, maybe Natsume will bring all these people together at some point. 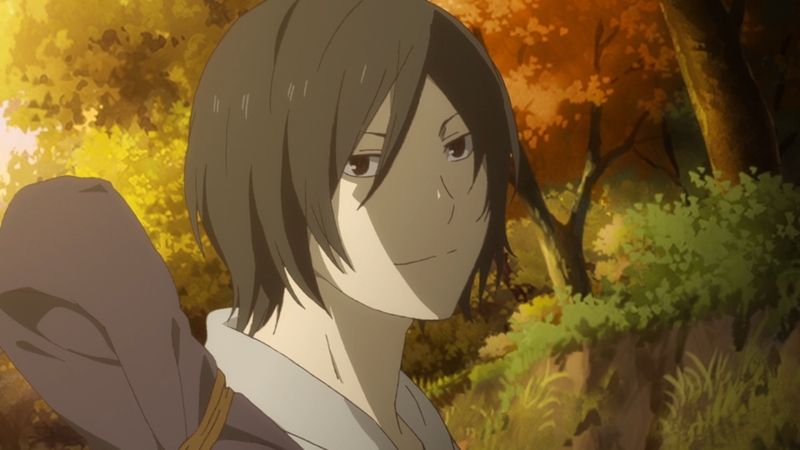 Although for that to happen….Natsume would have to stop disliking Matoba first. Not going to be easy since Matoba just makes all his requests feel like threats. I’m looking forward to getting back to the main character though and seeing his next little adventure.